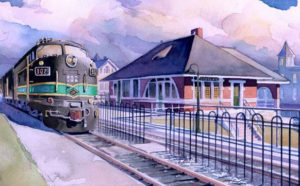 Perkasie Train Station – Cropped from watercolor by James Mann. Click on photo for link to website. 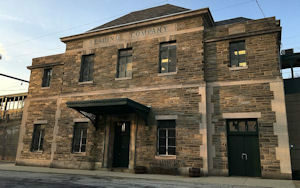 On Saturday, September 8, 2018 the Philadelphia Division will return to the Perkasie Fire Company in Perkasie, PA.